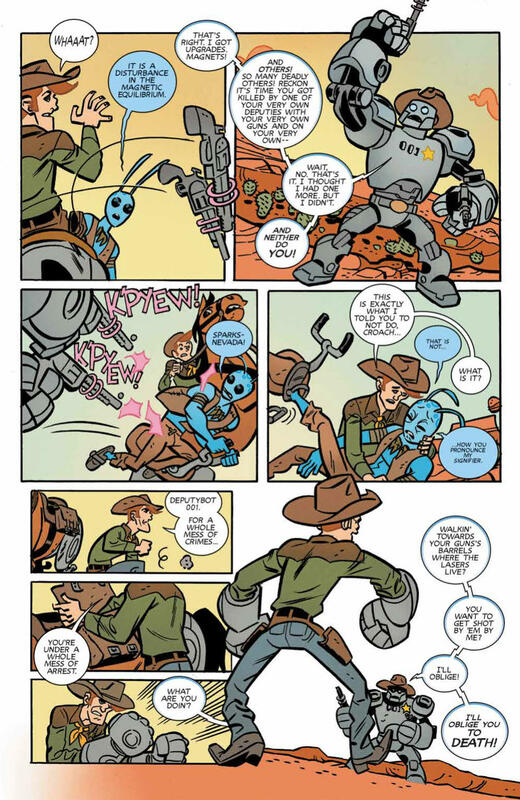 Shine your astro spurs and don your robot fists! Justice rides a rocket steed across the crimson plains of the fourth planet, where one man brings hope to humans who make this frontier world their home. 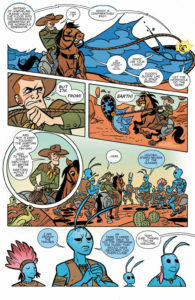 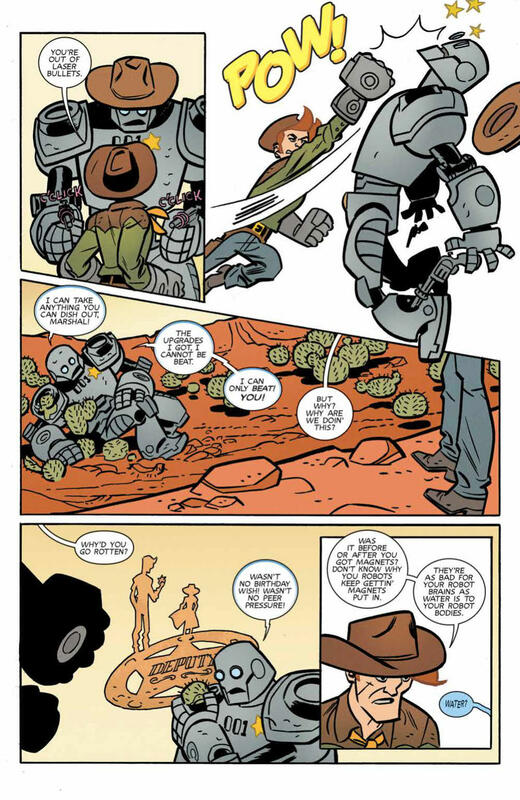 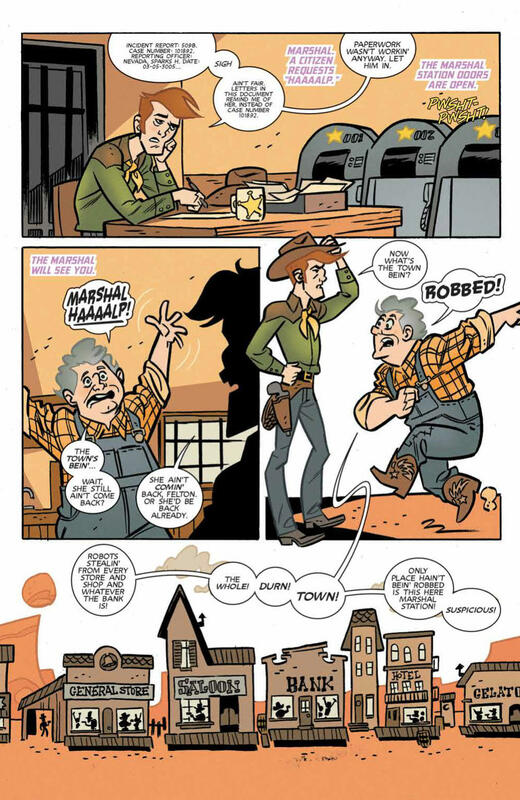 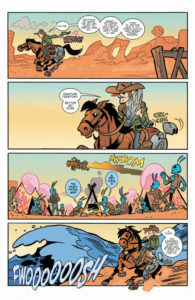 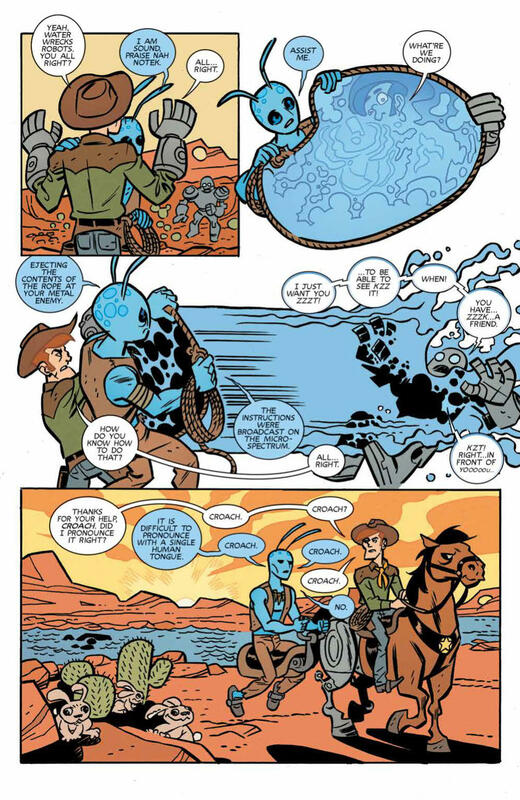 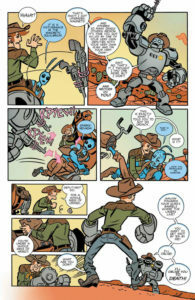 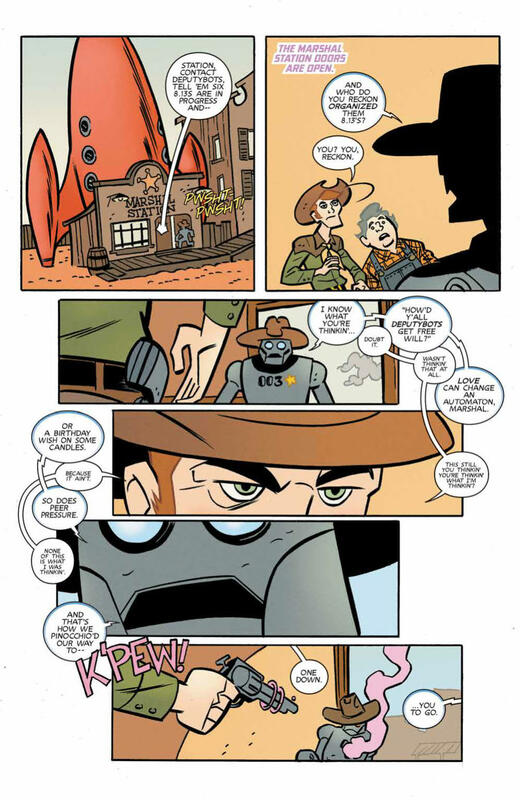 He is…Sparks Nevada: Marshal on Mars. Alongside his trusty Martian sidekick Croach, Sparks protects Mars from robot outlaws, alien invaders, and any galactic threat foolish enough to target the red planet. 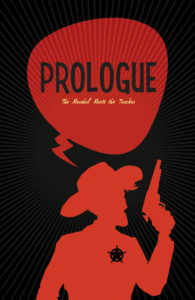 Written by the creators of the wildly popular Hollywood stage show and podcast, Ben Acker and Ben Blacker (Deadpool, Star Wars Adventures), and illustrated by J. 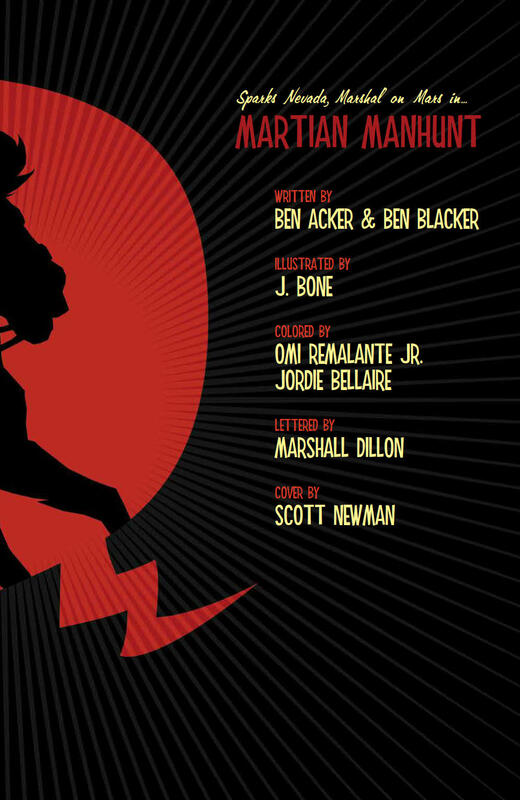 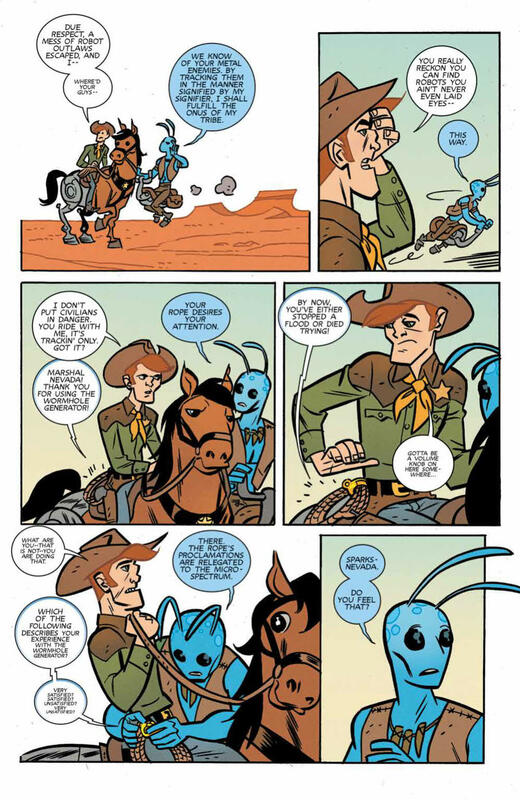 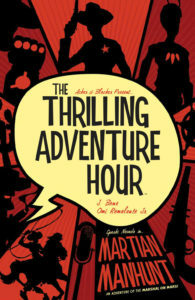 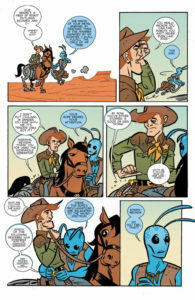 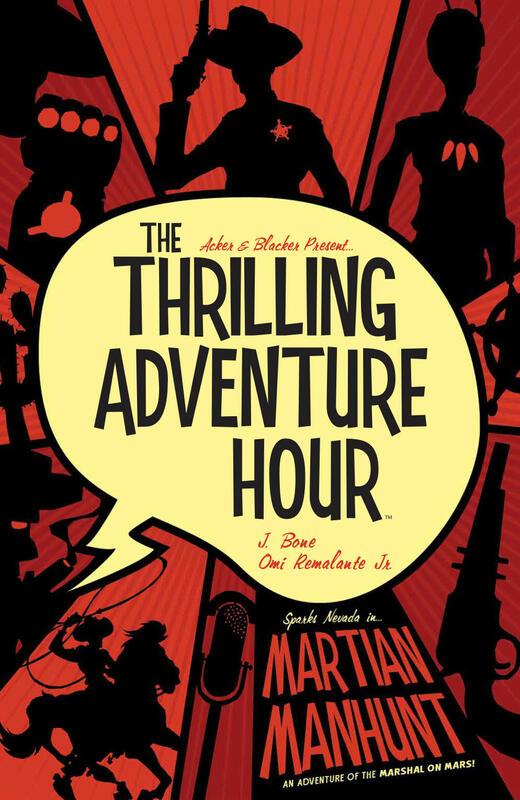 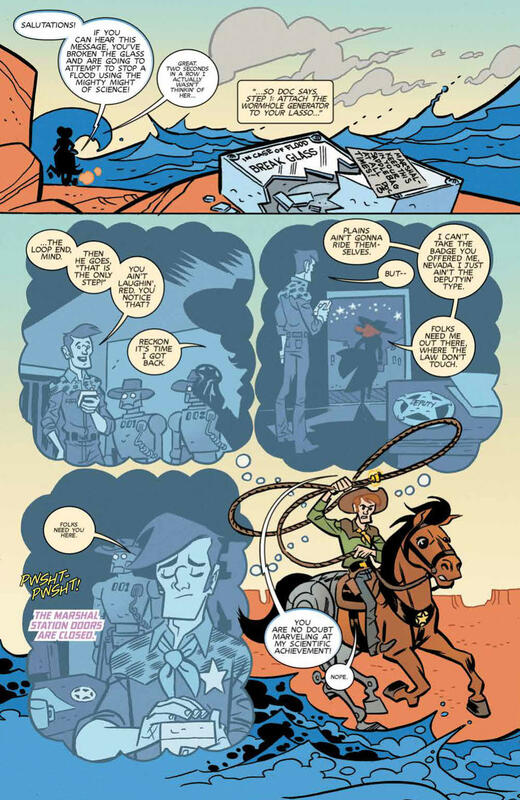 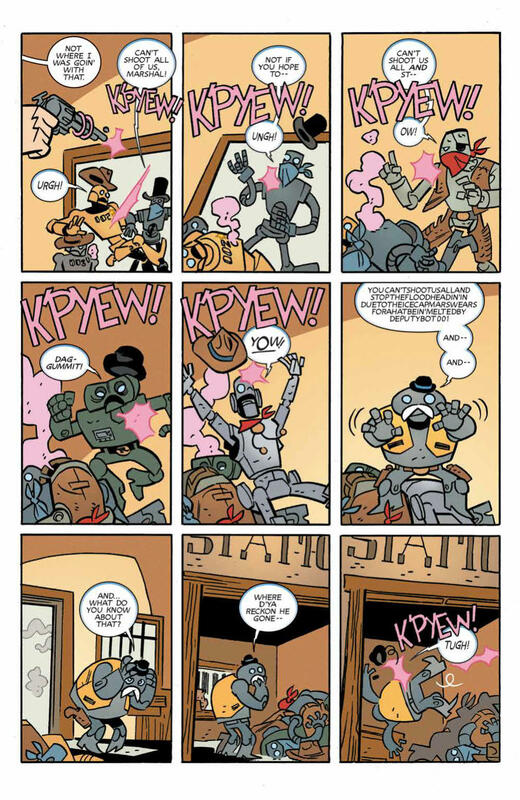 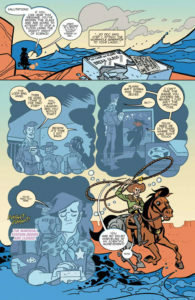 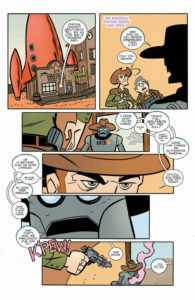 Bone (Batman: The Brave and the Bold), The Thrilling Adventure Hour: Martian Manhunt is a rip-roaring adventure that harkens back to the heyday of old-time radio entertainment.